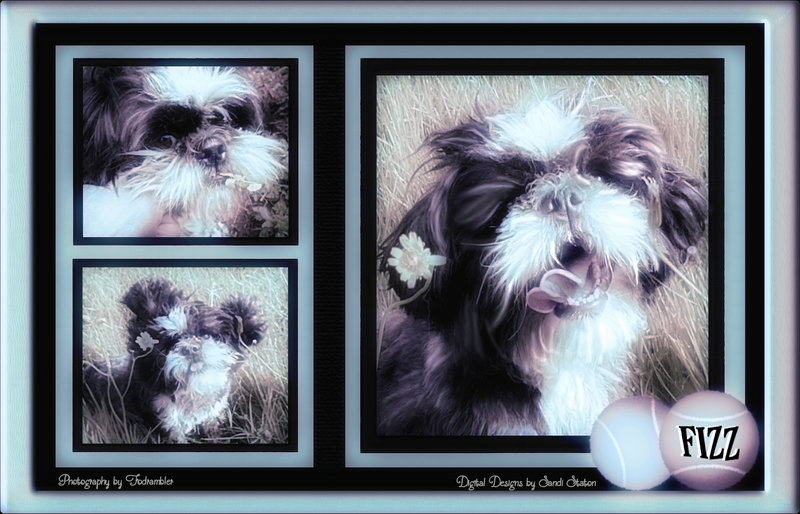 For those of you who don’t know, Fizz is a sweet, charming little Shih Tzu from the UK. She is Colin’s, atrampinthewoods.wordpress.com, little side kick that he takes with him on his adventures through the woods photographing flowers and bees and anything else that strikes his interest. He is kind enough to allow me to use Fizz in my digital designs. I just love her. She almost feels that she belongs to me. I think my next dog will be a Shih Tzu and I’m gonna name her Fizz! Sandi Staton on Just Do It! writerwannabe763 on Just Do It! Dan Antion on Just Do It! Sandi Staton on Does God Really Care? hawk2017 on Does God Really Care?